Did You Know? Just over 1,000 power plants across California produce enough power to provide nearly three-quarters of our electricity needs – providing over 200,000 gigawatt-hours of power annually. Planning, building, installing and maintaining our energy infrastructure falls to the men and women within Industrial Construction. 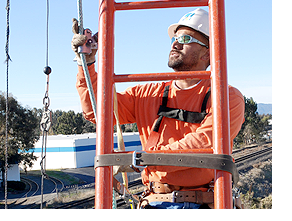 Through commitment and pride of work, they ensure that transmission lines, pipelines, equipment and power plants are up and running 24/7/365 – providing power and water to the millions of business and homes throughout California. Within each respective role, you’ll be a critical member of safety and maintenance teams at energy, natural gas and nuclear power plants across the state as well as various work sites.